A motorcyclist was killed in an auto accident on I-17 near Anthem, Arizona this afternoon. While the facts of the crash are unknown at this time, the tragedy is a reminder to keep a proper and effective lookout for motorcycles while driving. Because accidents are often caused by a bad or careless driver and through no fault of the injured party, such as a motorcyclist, the crash and death is a reminder to wear a helmet while operating a motorcycle. Finally, sadly, far too many accidents occur on I-17 near New River and Anthem. If you drive on I-17, be extremely cautious and drive safely. 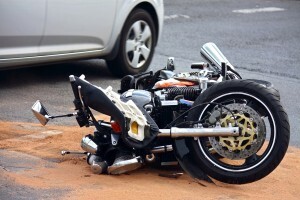 Attorney Randal Hutson represents car and motorcycle accident victims throughout the North Valley. His office, The Hutson Law Firm, PLLC, is located near I-17 and Happy Valley in North Phoenix. He offers free consultations in his office, and he also offers to travel to prospective clients in Phoenix, Anthem, New River, and other cities throughout the valley. If you or a loved one has been injured or killed in an accident and you hire The Hutson Law Firm, PLLC, Mr. Hutson will promptly send out a letter of representation preventing the other party or his or her insurance company from contacting, harassing and taking advantage of you. He will act as the gatekeeper to enable you or your loved one to get the care and treatment that is needed, as facts and evidence are gathered. After the facts and evidence have been gathered, Mr. Hutson will prepare and submit a demand to the other party’s insurance company in order to get you or a loved one the compensation that is deserved. An accident victim is usually entitled to compensation for medical expenses, pain and suffering, loss wages and more. Mr. Hutson recognizes that accident victims often experience severe pain and suffering and seeks to help his clients recover for all of the pain and suffering that they have endured. To schedule a free consultation with Accident Lawyer Randal Hutson, call 623-628-7400.